If the sound of jets flying overhead in Coronado is coined The Sound of Freedom, then what might the sound of drums coming from a neighbor’s garage be called? 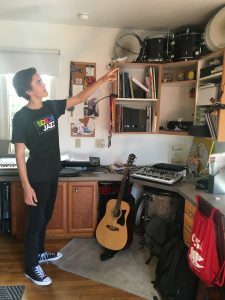 If you happen to live in the vicinity of high school sophomore Jack Becker, the sounds coming from his garage would likely inspire words such as passion, potential, and talent. Those same words may also be attributed to Jack’s wider musical ensemble: The Ellington Jazz Band of the San Diego School of Creative and Performing Arts (SDSCPA). 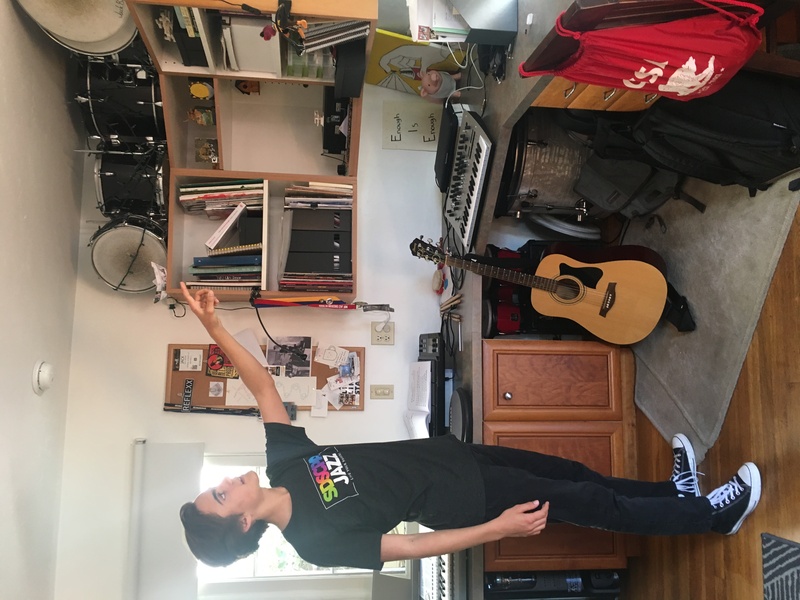 Jack and his “school band” were recently selected to compete against the nation’s top high school bands for the Essentially Ellington High School Jazz Band Competition & Festival to be held in New York City May 9th– 11th. Our first Essentially Ellington 2019 reaction video is here, this one from San Diego School of Creative and Performing Arts! Watch as the band finds out that they are finalists & coming to New York! Earning a spot in the competition is only the first step in the challenge, however. Another obstacle is the expense of the trip which equates to about $1200 per student or $35,000 for the group. Given the school’s limited resources and tight timeframe for raising money, Jack’s father Joel has stepped up to help rally financial support. As a means to bring visibility to the band and encourage public support in Coronado, Joel made arrangements for a free concert to be hosted at the Coronado Library’s Winn Room on April 18th between 7:00-8:00pm. “Showcasing the band’s talent is key. Once people have the opportunity to hear their music and see the performance — I hope they will be inspired to support it,” says Joel. Support from Coronado has been instrumental for the Becker family over the years. At just 8 years old, Jack played drums for bands at the summer Concert in the Park series. 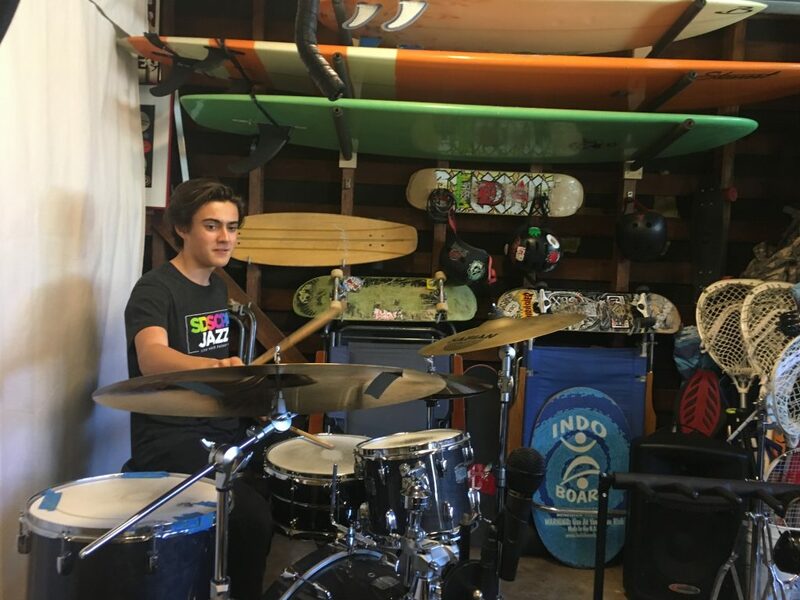 Jack’s younger brother Michael has been a regular participant in Coronado’s Talent with his guitar skills. 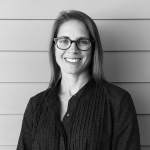 The Navy family members are all musicians with the exception of mom Christy who is the self-described “roadie” of the family. Following those words of professional counsel and with the encouragement of his family, Jack prioritizes higher education as his next step. He is considering music programs at Juliard, USC Thorton School of Music, Berklee School of Music, and NYU among others. 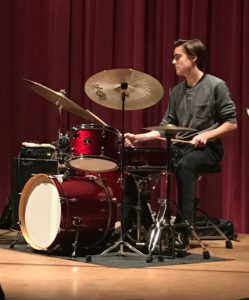 Jack Becker and the SDSCPA Ellington Jazz Band will be playing in the Coronado Library’s Winn Room on April 18th between 7:00-8:00pm as an awareness and fundraising initiative for their upcoming competition in NYC next month. Here’s hoping the drums and music of the concert reverberate through the Winn Room and Coronado as The Sound of Success. The event is free and open to the public.